Play the popular Age Of The Gods Slots at Fly Casino today and receive a 110% match on your first deposit. Based on the iconic 1999 science fiction film which became a worldwide hit. The Matrix became a cult movie hit in the 1990's, now the sci-fi classic is available as a video slot. 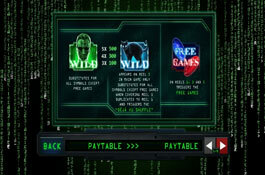 Quality design, slick graphics and sound effects, this 5 reel, 50 payline slot delivers plenty of action. Enter a world where humankind lives in a simulated reality designed to keep their minds occupied, while the energy from their bodies gets used as a source of energy for sentient machines that have taken over the world. 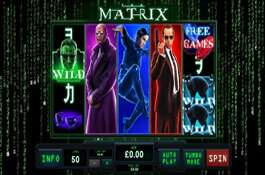 The range of features includes Free Spins, Bonus Rounds and Sticky Wilds. 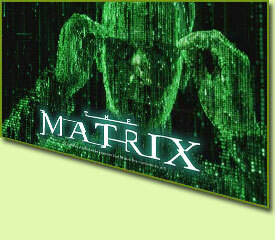 Neo, the Wild symbol substitutes for all other symbols except the Free Games scatter. This lucrative symbol awards 2, 6 or 10 times the bet for 3, 4 or 5 Wilds across a payline. Black Cat Wild - only appears on Reel 5 substituting for all symbols except the scatter. Should the Black Cat Wild cover the entire Reel 5 the Déjà vu Shuffle feature will be activated. The Wild reel then duplicates itself onto Reel 1 which then gives 2 Wild reels. The other symbols then shuffle to give better winning combinations. Land the Scatter on reels 1, 3 and 5 to access the 2 Free Spins features. 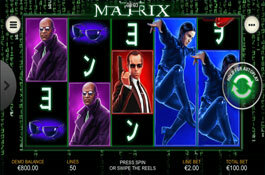 Agent Smith – awards 8 Free Spins - on each one, extra strips of Agent Smith symbols get added to the reels. 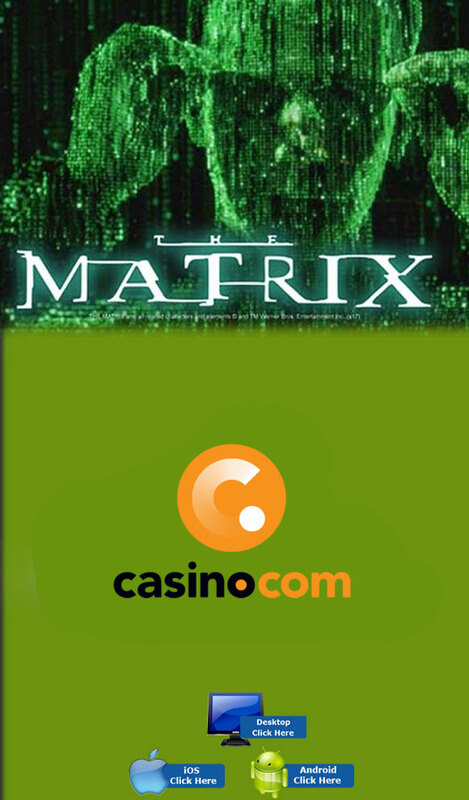 At the end of the feature, Agent Smith will dominate the reels, making it easier to land a big winning combination! Nebuchadnezzar - receive unlimited Free Spins with the killing robot Wild symbol swarming the reels. When a Wild lands, it will remain locked in place for the duration of the feature. An Orb could appear which will blast away all the sticky wilds! 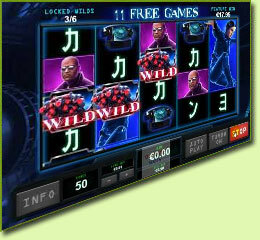 The Free Spins will continue until 6 Wild symbols appear on the reels at the same time. Play the individual progressive jackpot which is determined by the size of your stake.